Este artículo está disponible en español aquí On Monday, November 7th, the day after Nicaragua’s primary elections, supporters of the Miskito indigenous party, Yapti Tasba Masraka Nanih Aslatakanka, or Sons of Mother Earth (YATAMA), took to the streets of Puerto Cabezas to celebrate a regional victory for Indigenous Peoples. It had just been announced that Brooklyn Rivera, the leader of YATAMA, had won political office. Local polls concluded that YATAMA had secured the victory despite numerous allegations of electoral fraud. Nine out of twelve people IC interviewed at four polling stations in Puerto Cabezas reported the fraud in favor of the Sandinista National Liberation Front (FSLN), led by Nicaragua’s current president, Daniel Ortega. “There is serious doubt about the transparency, the cleanliness and the purity of this process,” said Mr. Rivera. Other than YATAMA, “there is no real opposition” and “no international observation of the elections,” he concluded. Despite these allegations, YATAMA supporters planned to march across the town at 2:00 pm. However, it was learned around that time that the victory would not be acknowledged until the vote was recounted in Managua, without the presence of YATAMA officials. The announcement created a sense of unease as the streets filled with Miskito of all demographics in support of Brooklyn Rivera’s re-election as a deputy in the National Assembly. 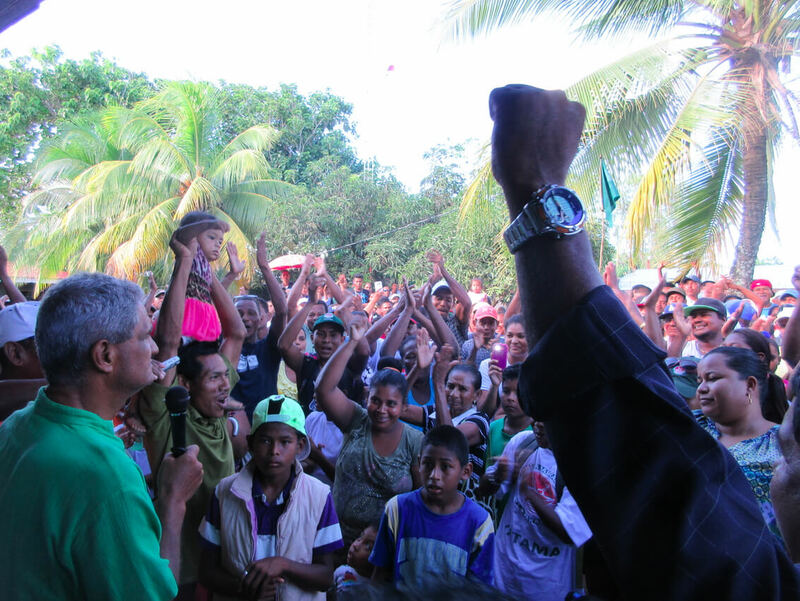 Mr. Rivera was ousted from office in September of 2015, following a rise in violence over an endemic land conflict between the Miskito and Sandinista settlers known to the Miskito as colonos. 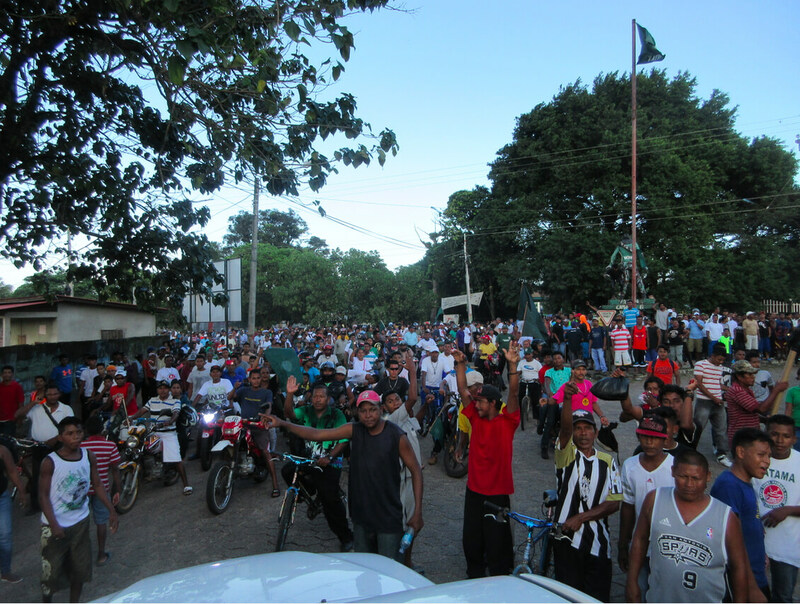 The indigenous population swelled the streets with gracious enthusiasm following an optimistic speech by Mr. Rivera. However, shortly after the start of the march, police began to line the main street in riot gear, preventing the march from continuing. Miskito youth began throwing stones at the officers and the police began firing rubber bullets into the crowd, provoking more outrage. A group of YATAMA supporters overtook the governor’s office, removing office equipment including computers. The crowd began to compile makeshift weapons to fend off the police, who began using tear gas in an attempt to disperse the crowd. Many of the women and children took safety in a bar overlooking the conflict, only to have tear gas thrown at them by the police officers. YATAMA’s supporters eventually overtook the police around 6:00 pm, who retreated to the police station. 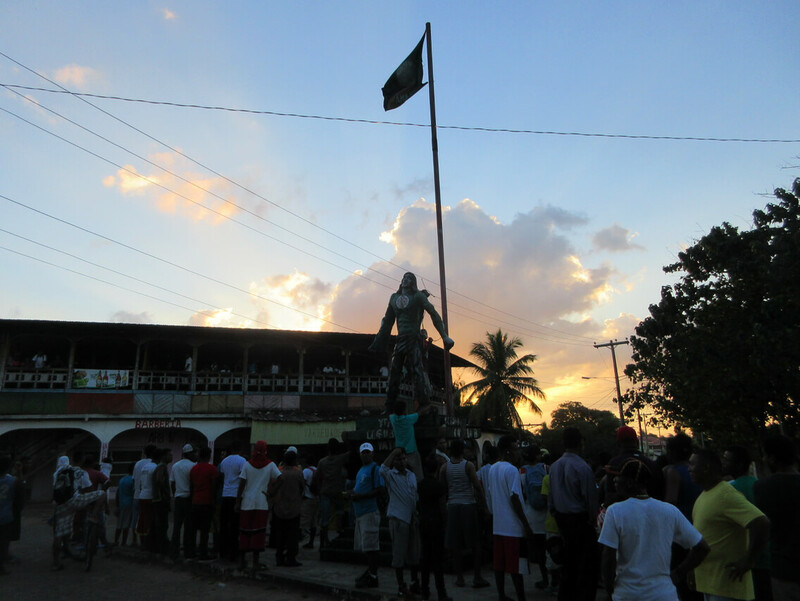 After the sun had set, a group of Miskito youth, angry with the police for stopping the march, broke into several shops owned by Sandinista supporters. The following morning, the local Sandinista radio station, Bilwi Stereo, blamed the conflict on the participation of foreigners, discrediting the power and agency of YATAMA’s wide support base. 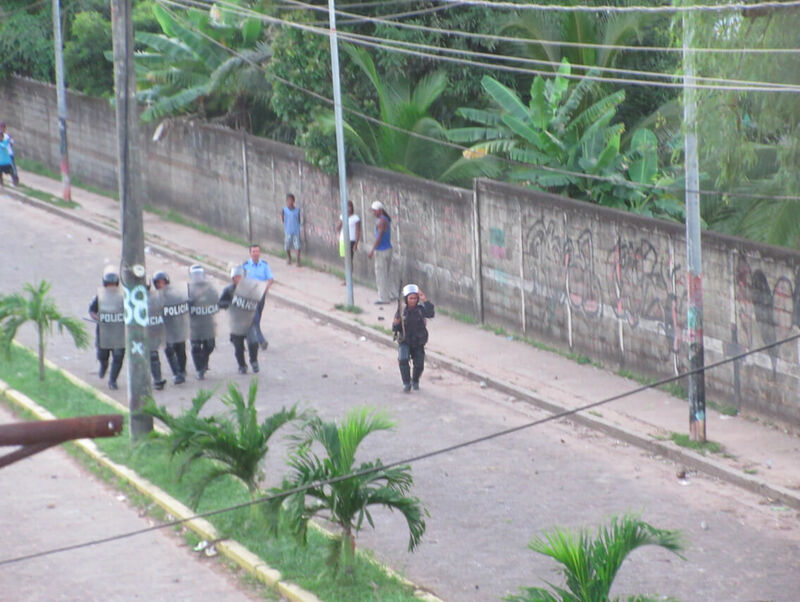 Puerto Cabezas became militarized overnight, with trucks of heavily armed soldiers patrolling the empty streets.